Various modes of transportation in different places in the world. 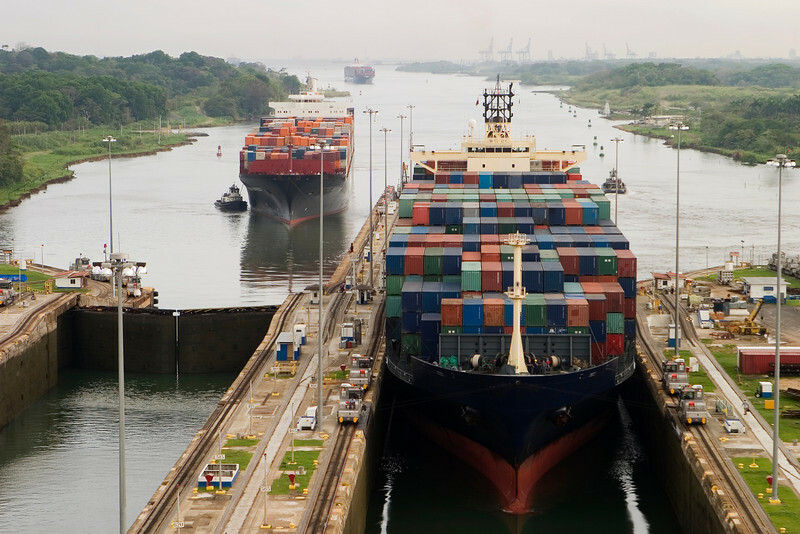 Several freighters, assisted by tugboats, are entering the Panama Canal at Gatun Locks on the Atlantic side. These container ships are fully loaded with cargo heading west towards the Pacific.